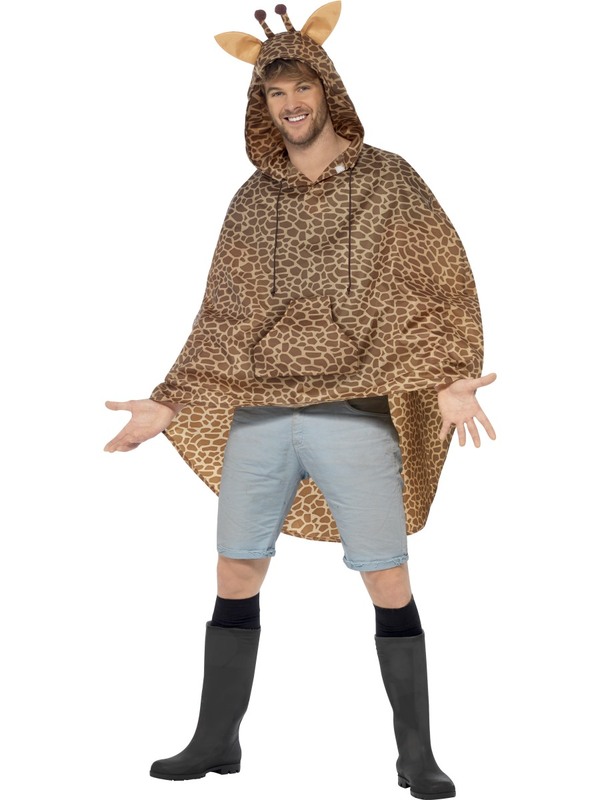 Now you can join the Madagascar crew of Alex, Marty, and Gloria by dressing up as the Melman in this Giraffe Party Poncho. 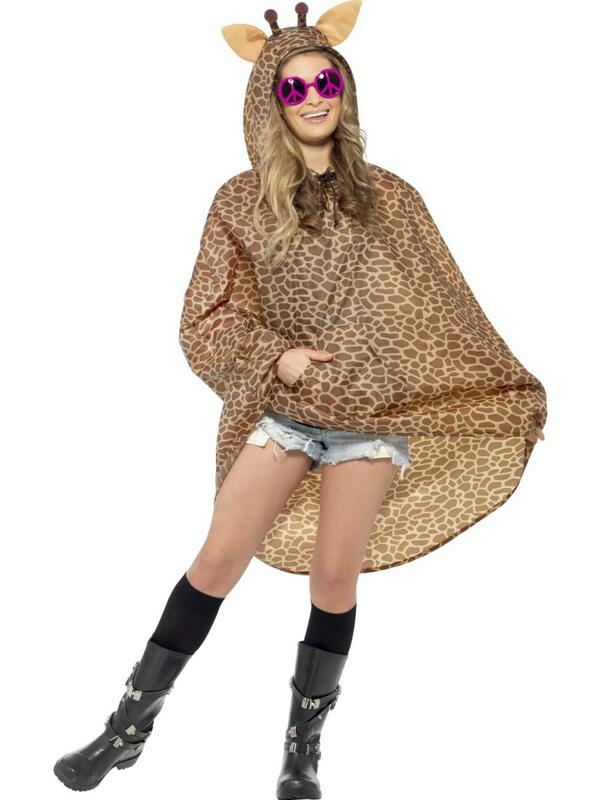 This giraffe print shower resistant poncho includes an attached hood with ears and a matching drawstring bag. Stretch your long neck out and reach your animal or film themed fancy dress party on time.